I specialise in the aesthetic side of Atlantic Dermatology and Laser. 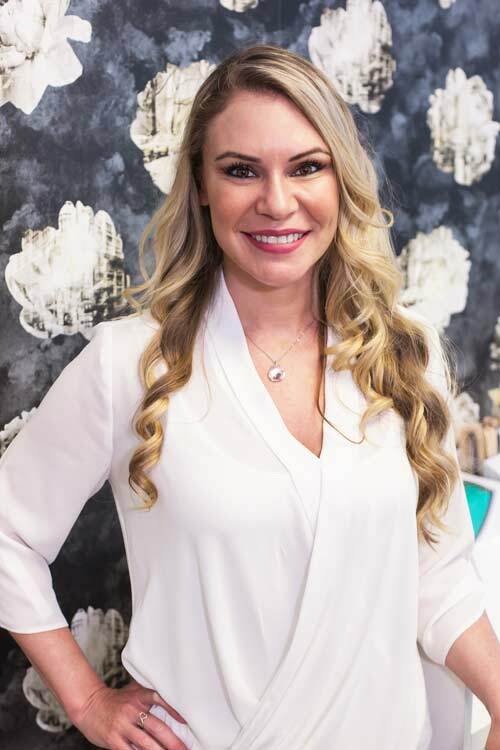 With over a decade of experience in skin, laser and aesthetic treatments, a results-driven approach and over 6 years as a business owner I have been privileged enough to be able to create two successful aesthetic businesses. After completing my A Levels with British International College, I went on to study an International Degree in Somatology. There-after I continued my education in the United Kingdom, where I completed courses in Chemical Peels & Micro-dermabrasion. Laser rejuvenation quickly became one of my big passions and so I went onto complete both local and international Laser training, including courses attended in Spain and various other local institutions. Throughout my career I have worked closely with doctors, dermatologists and plastic surgeons and regularly provide training for other medical practices as well. The Sciton laser has become my favourite and I has been working with this device for the last 8 years I have worked on various types of machines and have experience with operating over twenty different laser machines and therefore have spoken at many medical congresses to share my knowledge and experience with other Doctors and clinicians. We Use the Rolls Royce of all Laser machines and we are all very excited to be working with Sciton Joule and BBL laser. This is the gold standard when it comes to lasers for the skin and is the very first machine of its kind in Cape Town! Having over 10 years of experience in the aesthetic and laser industry I personally perform all the treatments on my patients myself. It is very important to me to continue to keep up to date with current techniques, attending seminars and continually researching new technology that is coming out of American and Europeans aesthetic practices, with commitment to enhancing my knowledge in the future. After winning the prestigious international “Best Results” Laser competition by Sciton, competing against the top 200 clinics from around the world, I was fortunate enough to be invited to spend some time at some of the leading aesthetics clinics in Beverly hills and San Francisco to learn from the top experts in skin rejuvenation and bring the latest and best treatments to our dynamic clinic in Cape Town.